When was the last time you ate a chocolate-covered strawberry? Maybe it was at a wedding or a party. Maybe it was a Valentine’s Day gift. 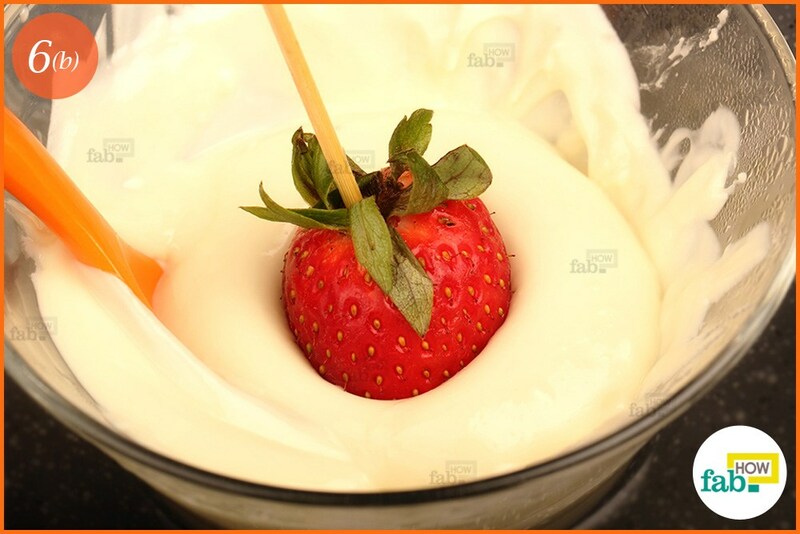 Bet you still remember the symphony that played on your tongue – the rich flavor of chocolate and the juicy tang of the strawberry – regardless of when you last had one. Strawberries are an all-time favorite for most. 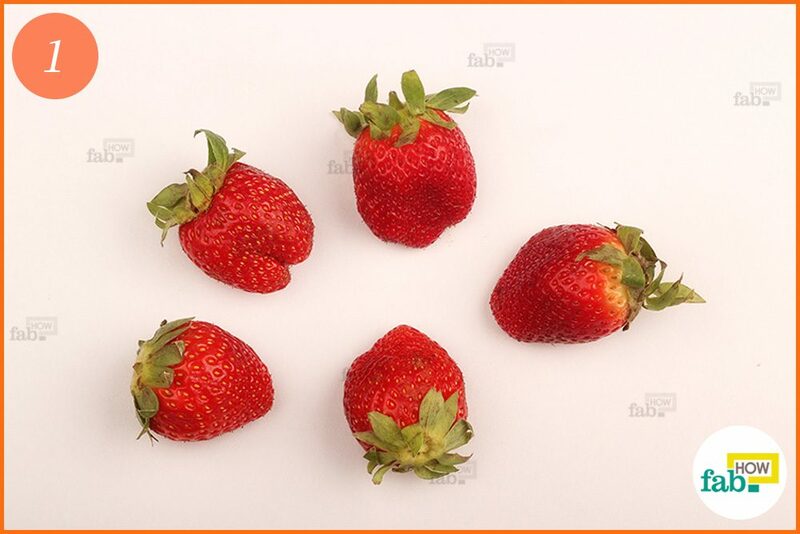 Besides being healthy, strawberries are used in a wide variety of desserts. 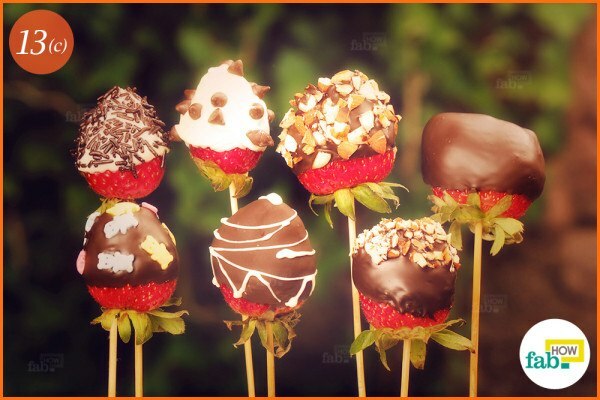 Being a proven aphrodisiac, strawberries are a notoriously popular element of any number of amorous rituals. Chocolate-covered strawberries make for a simple yet elegantly sensuous dessert. The good news is that they are easy enough to prepare in your own kitchen. You can even have fun decorating them to your liking. So, now you can easily surprise your beloved on any special occasion by making this easy yet impressive dessert. Or you could make it for yourself simply to indulge in the exquisite delight. Wash the strawberries under running water. Pat them dry. Make sure to dry them completely orthe chocolate coating won’t stick. Put about 1 inch of water in the bottom of a pan and place it over heat. Place two heatproof bowls in the pan. 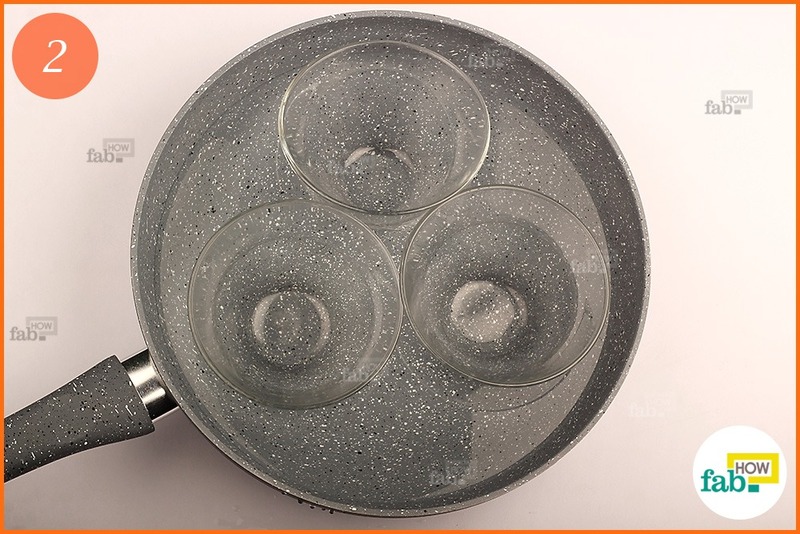 The bowls can be tempered glass or steel. When the water starts heating up, you can add the chocolate. 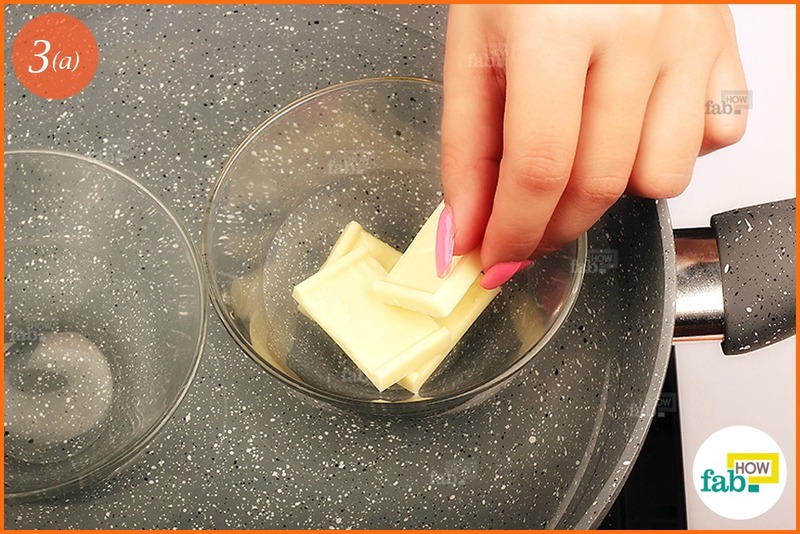 Break up the dark and white chocolate into pieces and put them in separate bowls. The chocolate will start melting. 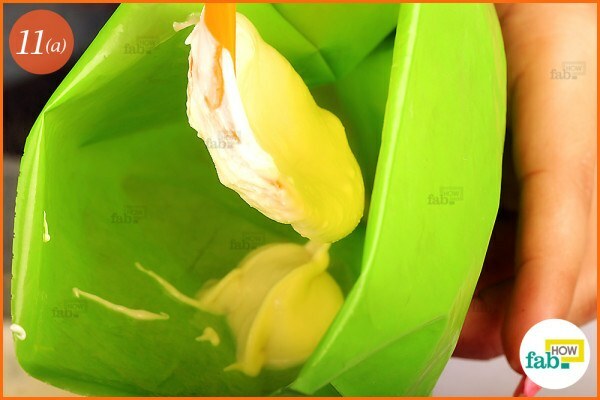 Stir it continuously to prevent burning. When all the chocolate is melted into a gooey texture without any lumps, turn the heat off. Stick long toothpicks or skewers into the strawberries through the green top. This is to make the dipping easy. Make sure to push the toothpicks in until they are almost near the end tip of the strawberries, as the centers are somewhat hollow. If not skewered securely, the strawberries might fall off your toothpicks and take a nose dive into the melted chocolate. Now that you have firmly fixed the strawberries onto the toothpicks, dipping them will be easy. 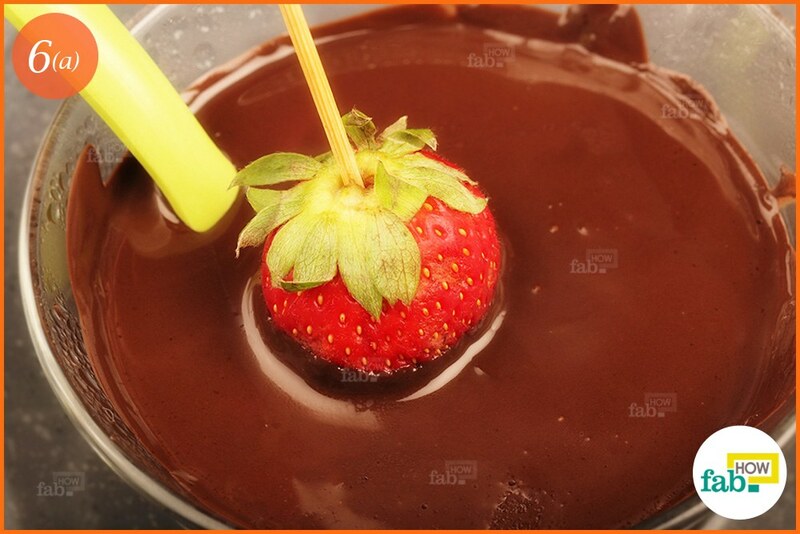 Just hold your strawberry by the toothpick and dunk ¾ of it into the melted chocolate. 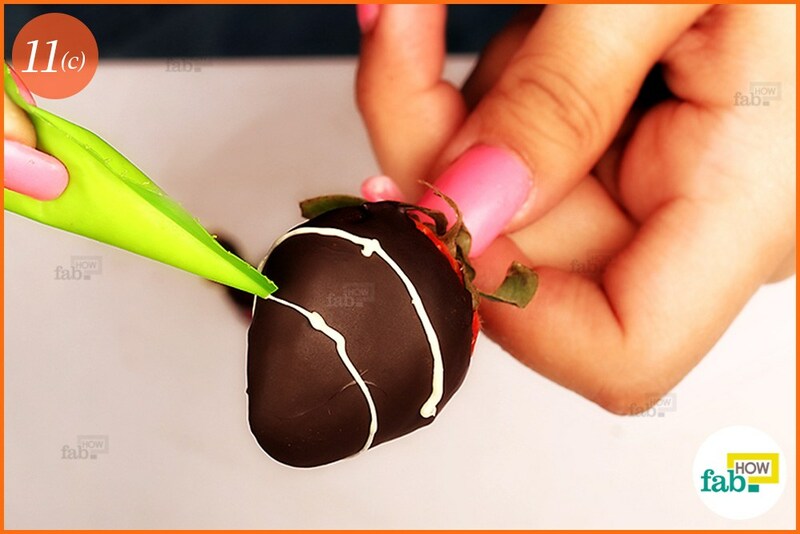 Swirl the strawberry around in the chocolate to thoroughly coat it. 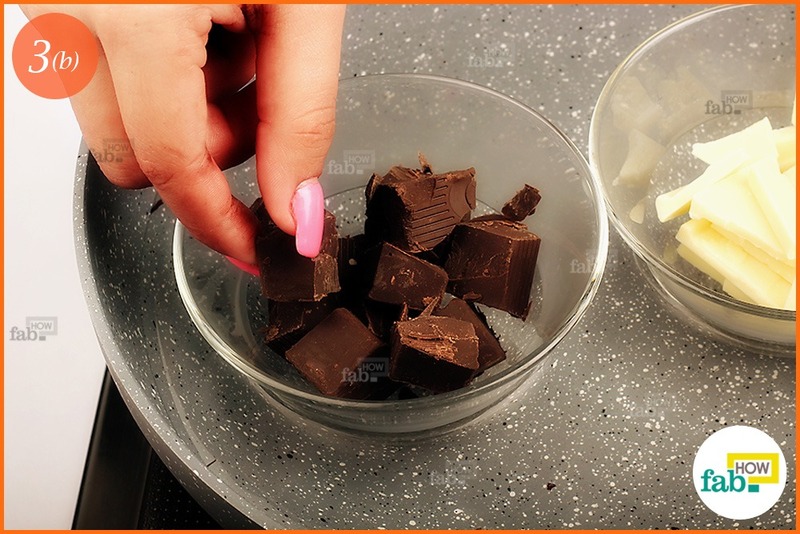 When you’re done, jerk it gently before taking it out to shake off any excess chocolate back into the bowl. Follow the same procedure for coating your strawberry with white chocolate. 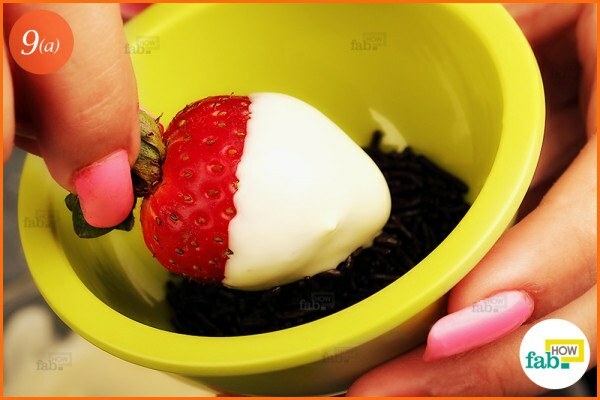 You can dip the strawberries into the dark and white chocolate alternately or however, you wish to decorate them. 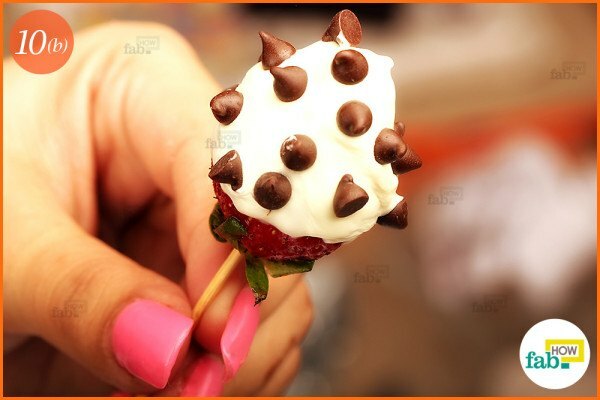 Stick the toothpicks with the chocolate-covered strawberries upside down into a Styrofoam block to dry. Now, you can take creative liberty while decorating your strawberries. One way is to go colorful by using sugar shapes of your favorite design. Or you can use the classic colorful sprinkles. 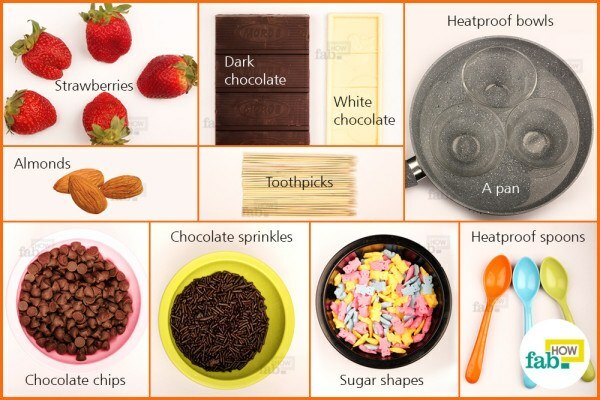 Make sure to fix the sugar shapes carefully onto the chocolate coating when it is partially but not fully dry. Chocolate sprinkles are a simple yet yummy choice for decorating your strawberries. 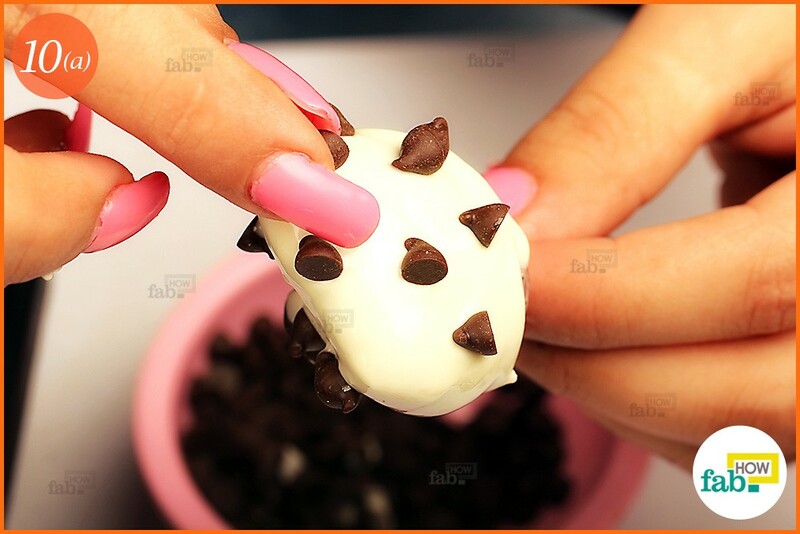 For visual effect, use them with white chocolate coating. 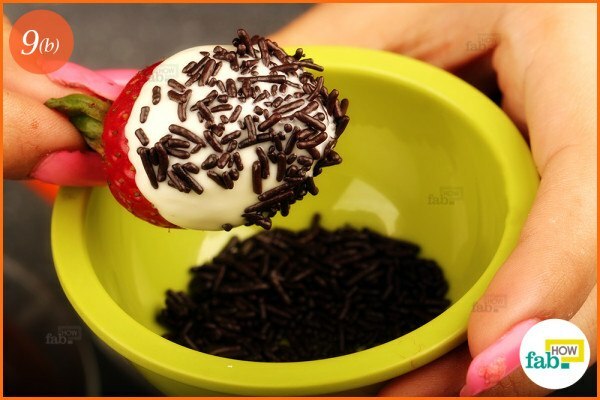 Just swirl a white chocolate-coated strawberry into the bowl of chocolate sprinkles. You can create the same effect by using tiny chocolate chips on a white chocolate-covered strawberry. The chocolate coating should be semi-dried while doing this. If the coating is fully dry, the chocolate chips or sprinkles won’t stick. 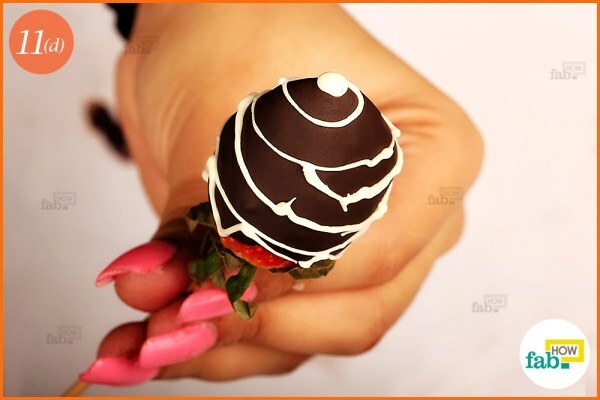 If the chocolate coating is still fresh and moist, it will start coming off your strawberries when you try to decorate them. 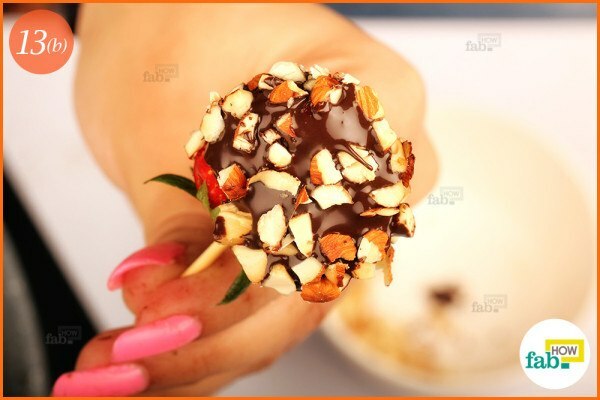 To garnish your chocolate-covered strawberries by drizzling melted chocolate, you’ll need to make a cone out of a plastic bag. It sounds difficult but really isn’t. Just fill one end of the bag with melted chocolate. 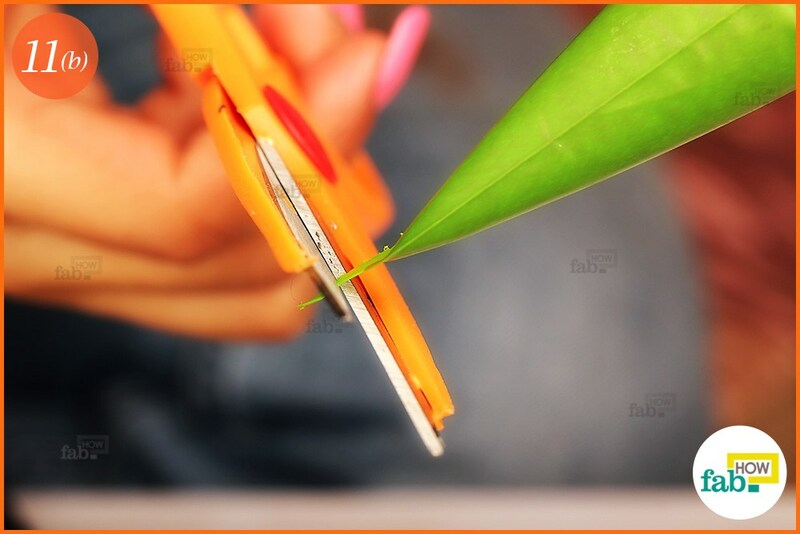 Seal the bag from the back and snip off the pointed end using scissors. Now, you’ve got yourself a cone to use to drizzle chocolate. Use the cone to make chocolate swirls on top of the chocolate coating on your strawberries. The chocolate coating should be almost dry when decorating them with swirls. 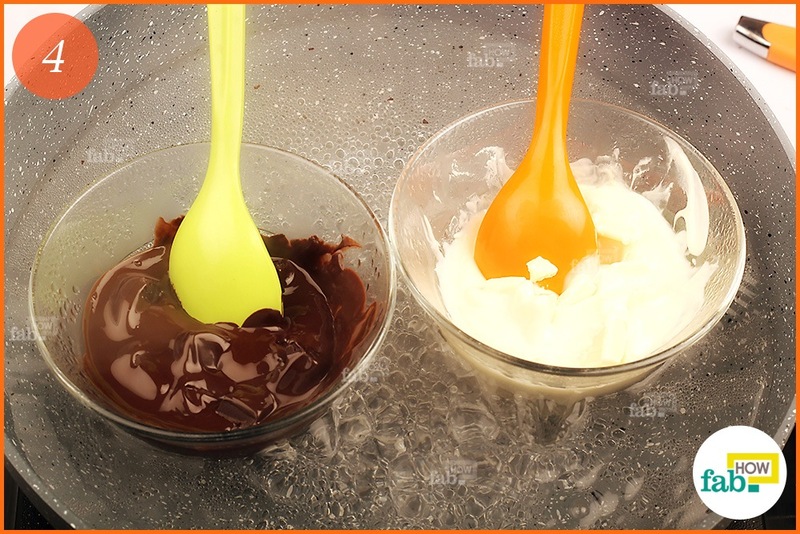 For visual effect, drizzle white chocolate on dark chocolate coating and vice versa. 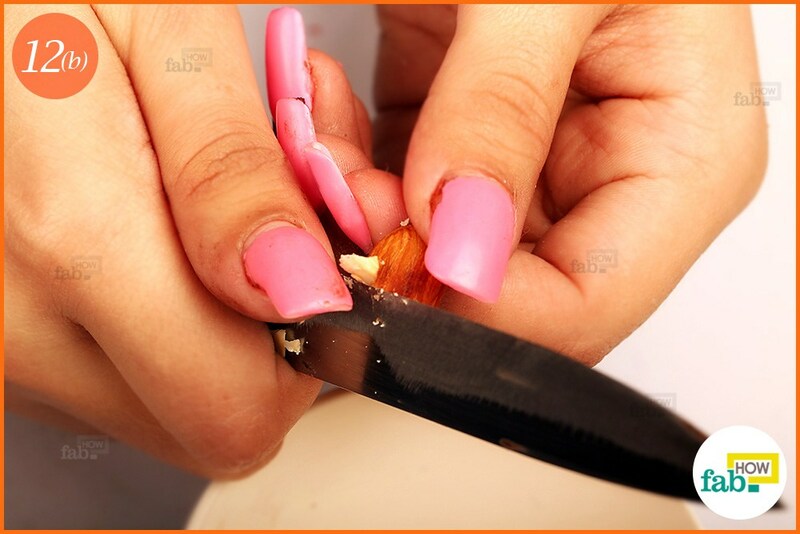 If you wish to decorate your strawberries with nuts, it’s not that hard. We’ll be using almonds, but you can use any nuts of your choice. 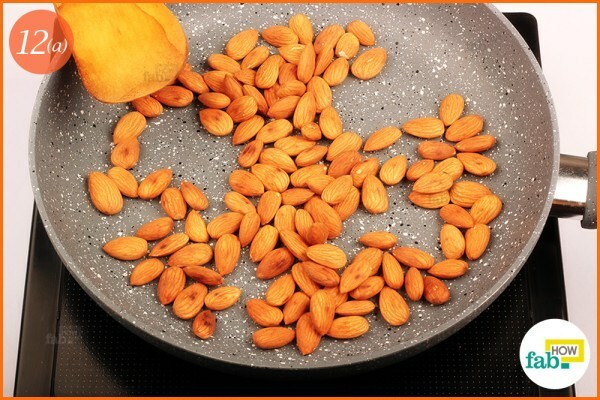 Just roast some almonds in a pan. Once they’re done, chop them up into small pieces. You can vary the size according to your preference. 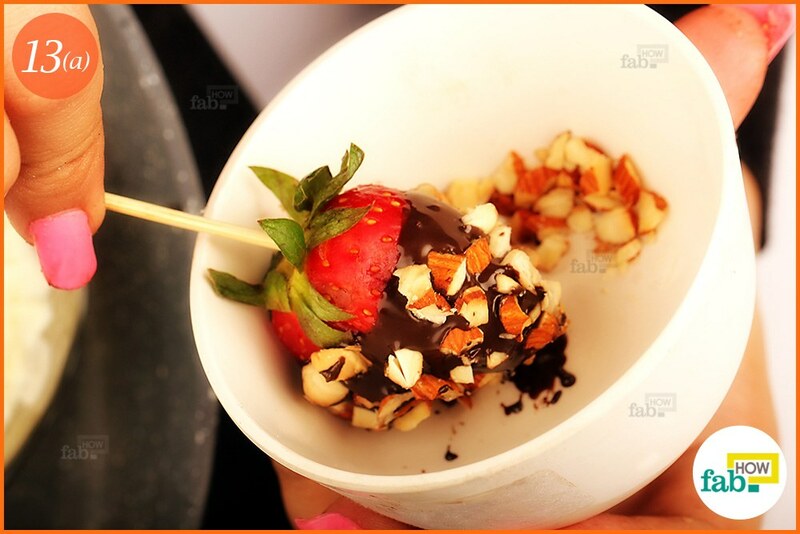 Decorate the chocolate-covered strawberry with almonds by swirling it in the bowl of chopped almonds. 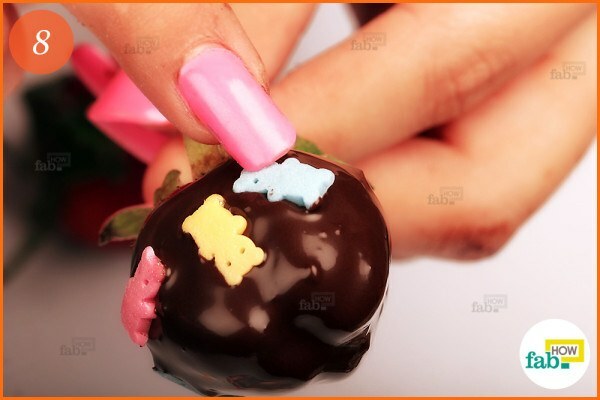 There is an array of decorative chocolate coatings that you can choose from. Once you get the hang of it, it’s easy as pie. 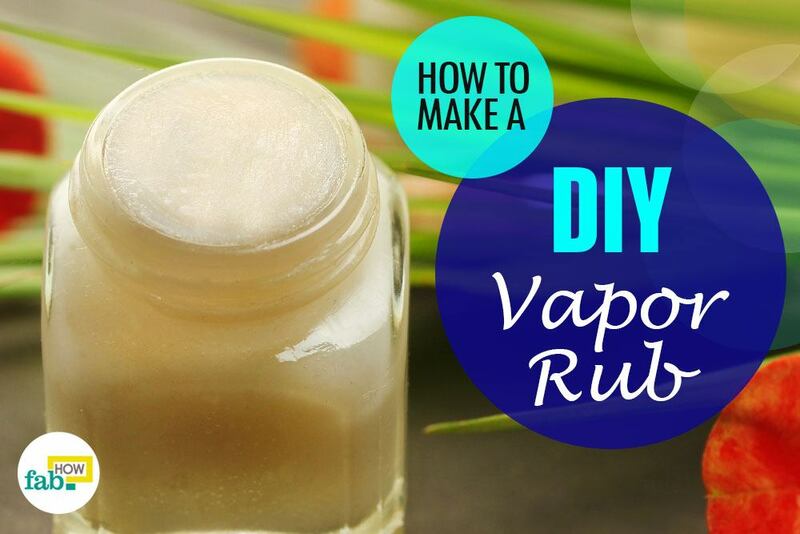 You can make your favorite kind as often as you like for yourself or for your guests. The strawberries must be completely dry as well as free of any sticky bruised areas or the chocolate will not stick to its surface. The bowls used to melt the chocolate should be heatproof. You can use stainless steel bowls or bowls made from tempered glass. While melting the chocolate, stir constantly to avoid burning it. If you’re melting your chocolate in an oven, melt it in 15 second bursts, stirring at each interval until it is smooth. If you do not have plastic bag to make a cone for drizzling chocolate, you can use a zippered baggie or wax or parchment paper.